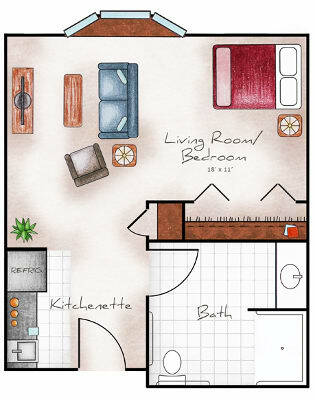 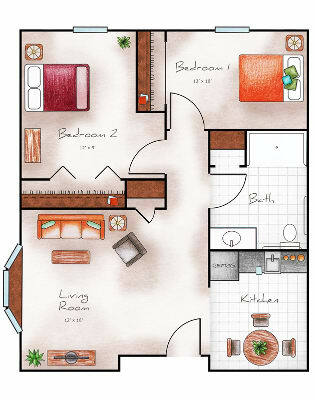 Our thoughtfully-designed floor plans are ready for you to personalize with your furnishings and treasures. 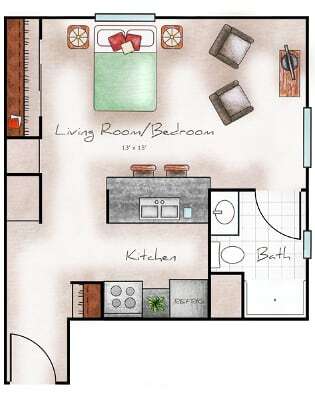 Whether you prefer an intimate studio apartment, or a spacious two bedroom floor plan, we have a variety of layouts to choose from. 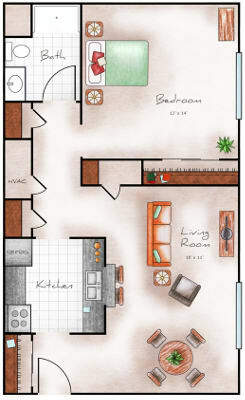 The options available are unlike many senior living apartments in Sioux City, IA! 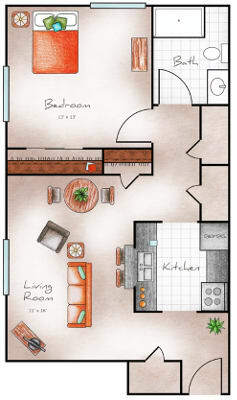 We want you to feel at home and for your home to feel like you. 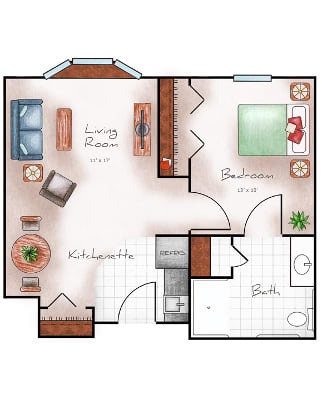 We aim for safety and comfort within each apartment, therefore an emergency medical alert system, 24-hour certified staffing, and secured entry come standard.